As part of any good disaster recovery and business continuity planning one should assume process or provider may fail and retain appropriate backups appropriate for the purpose. While Pipe Ten and its backup services are solid, we strongly believe and recommend customers should maintain local or cloud backups in addition to any backup service we may supply. 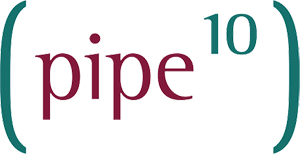 Pipe Ten is firmly committed to providing tools and resources to help customers achieve self backup for the purposes of disaster recovery. Our default backup service profiles/settings (frequency and retention varies based on service type) are defined within the service appropriate backup policy (inclusive, shared or dedicated), these should be compared to your RTO and RPO to help define the (in)frequency of your own disaster recovery backups. Additional network / bandwidth costs may be incurred, rate-limiting is recommended.